Father's Day is all about putting a smile on Dad's face, and that is exactly what this assortment of freshly-baked cookies and brownies will do! 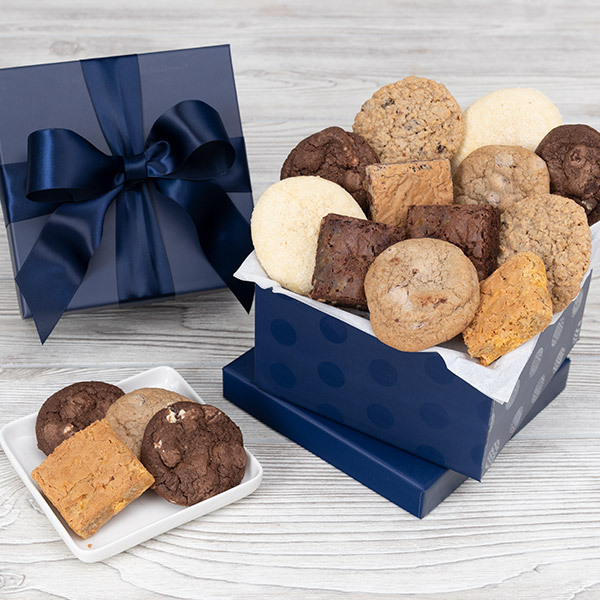 This keepsake gift box is packed with eight flavors of cookies, and brownies, all bursting with rich, decadent flavor. Explore the flavors of chocolate chunk, lemon sugar, and butterscotch with this Father's Day gift.